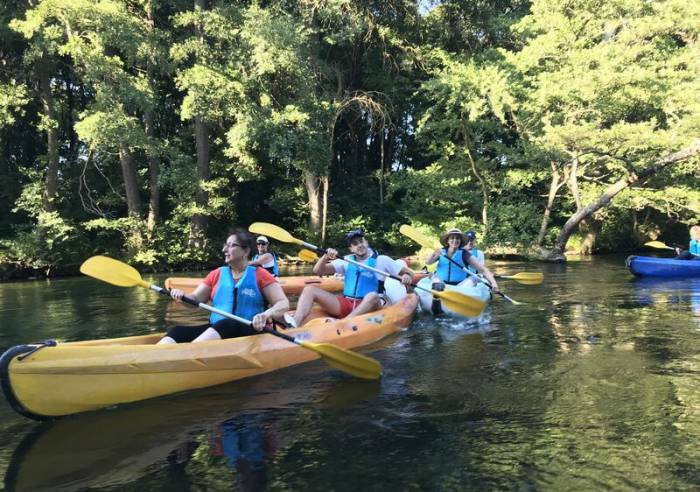 Guided canoe trips down the Sorgue River, between Fontaine de Vaucluse and Isle sur la Sorgue. Family trip lasts 8 km, takes about 2 hours. Back in mini-van, accessible to all.